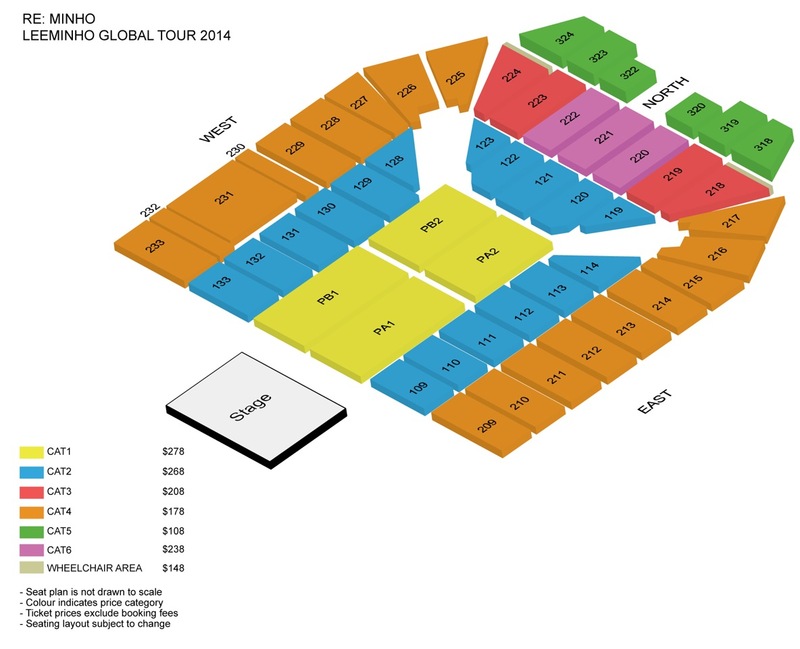 Lee Minho Global Tour 2014 [Re: Minho] Singapore is cancelled. Please read official announcement from Fast Track Events HERE. With regrets, Fast Track Events announced that Lee Minho Global Tour 2014 [Re: Minho] Singapore, which was previously postponed to a later date, is officially cancelled by the main organiser, Seoul Girls Collection (Korea), on 11th November 2014. Ticket holders can get their refunds from Sportshub Tix starting from 5 November 2014, 10am till 19 November 2014, 8pm. For more information on ticketing or refunds, please visit www.sportshub.com.sg, call Sportshub Tix at 6333 5000 or 3158 7888 or email them at enquiry@sportshubtix.com. Seoul Girls Collection (Korea) is proud to present Lee Minho Global Tour 2014 <Re: Minho> Singapore. Ticket sales will commence on 10th October 2014, via Sportshub Tix website, Indoor Stadium box office and all Sportshub tix outlets at 10am. 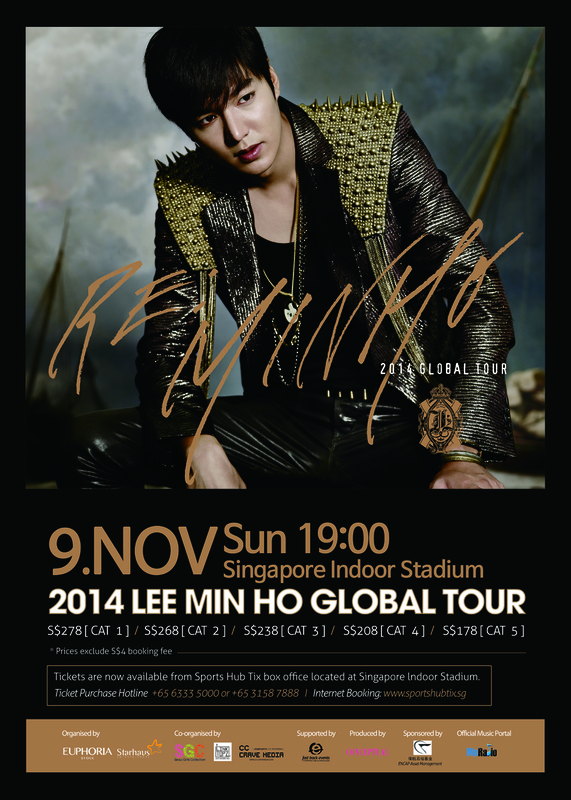 Lee Minho will be heading to Singapore, on the 9th November 2014, as part of his 2014 Global Tour <Re: Minho>. His 2014 tour for <Re: Minho> will begin on 4th October 2014 in Beijing. After which, Lee Minho will be touring the other cities in China, followed by Japan and Singapore for his South East Asia leg. Travelling along with him for this tour as a guest performance is the three-member rock band – Royal Pirates. Royal Pirates will be playing their hottest track for this show and to make it a little more interesting, they will be also performing together with Lee Minho. Lee Minho, also known as the K-Drama prince, will be the first Korean actor to have his own full length concert tour. Fans can expect Lee Min Ho to be performing his latest tracks from his second album. The organiser of Lee Minho Global Tour 2014 <Re: Minho> Singapore, Seoul Girls Collection (Korea), promises that this will be an exciting and memorable night for all MINOZ attending the concert. For latest updates on Lee Minho Global Tour 2014 <Re: Minho> Singapore, Fast Track Events’ Twitter / Facebook and Seoul Girls Collection (Korea)’s Twitter / Facebook.